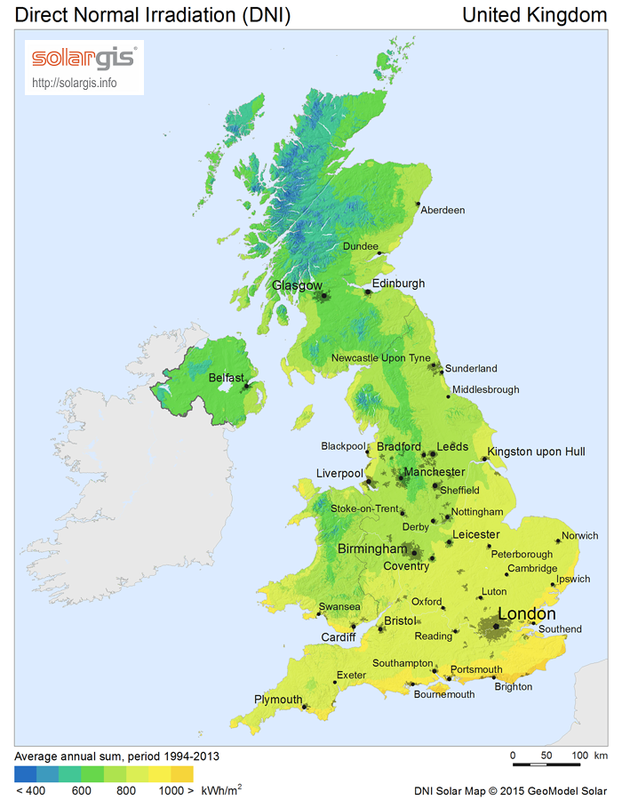 Despite its rather low average of annual sun hours the UK (England, Scotland, Wales, Northern Ireland) is an important and fast growing solar market, ranking 4th among all nations with regards to installed PV capacity in 2015. The BRE (Building Research Establishment) National Solar Center released a report on solar PV installations on commercial buildings in the UK: BRE (2016) Solar PV on commercial buildings: a guide for owners and developers, (K. Arora, S. Diu, J. Roper and G. Hartnell). 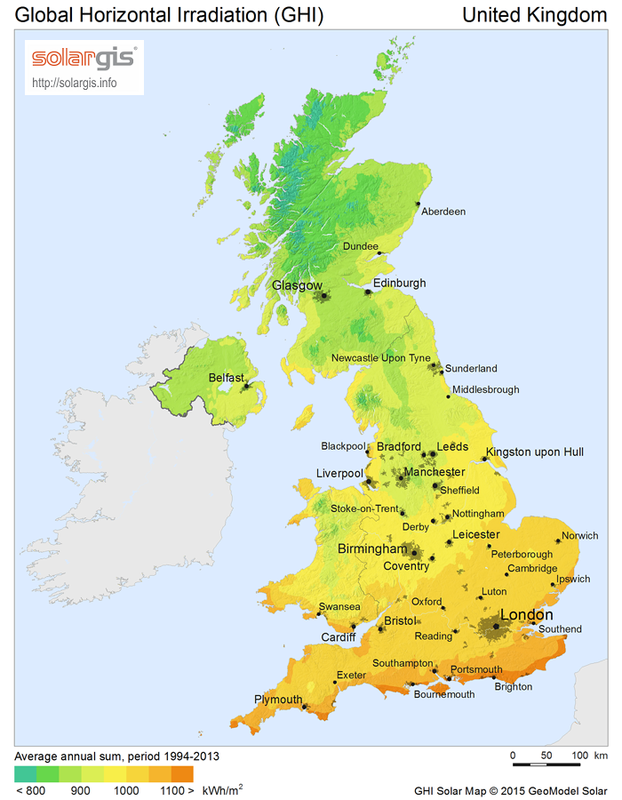 The UK has an estimated 250,000 hectares of south facing commercial roof space, which could provide roughly 50% of the UK's electricity demand if utilized with photovoltaics (PV). In contrast to most other European countries commercial installations in the UK account for only a little more than one quarter of the total generated solar energy of 4.1GW. Power Purchase Agreements (PPA) typically involve a lot of legal complications that account for the relatively low rate of commercial rooftop installations to date. In the UK around 6000-8000m2 of sloping roof space is needed to accomodate 1MW PV capacity. Flat rooftops require a little more area to avoid shading between each of the panels. The consumption profile of the building(s) on site is key to the financial viability of the project. Generally, the higher the self-consumption percentage, the better the profit. The following table gives the average energy prices in p/kWh for the last 3 years depending on size of consumer. The following table gives the FiT rate for Q1/2016. The FiT rate is subject to a fixed degression rate of 0.06-0.07p/quarter depending on the amount of electricity generation. Note: FIT Payment rates for solar photovoltaic installations are determined by the Gas and Electricity Markets Authority (Ofgem) under Article 13 of the Feed-in Tariffs Order 2012, in accordance with Annex 3 to Schedule A to Standard Licence Condition 33.